Black Friday is just around the corner for eager shoppers everywhere, and TOMODACHI is getting ready to celebrate with a number of special deals and offers! This year also marks Hello Kitty’s 40th anniversary, and TOMODACHI will be offering exclusive 50% off deals on brand-new anniversary merchandise to commemorate the occasion. Specifically, we will be offering a 40th Anniversary Hello Kitty throw blanket, as well as a set of limited edition Hello Kitty glasses! The blanket, which is originally priced at $65, will be on sale for $32.50, while the cups will be marked down from their original $35 price to $17.50, but this offer will only be available on Black Friday morning from 6AM to noon. This limited-time offer will be available at both our Rosedale Shopping Center location and our Mall of America store, so stop by this Friday morning to take advantage of these special deals! On top of that, customers who visit either of our locations will be treated to free gifts with their purchases! 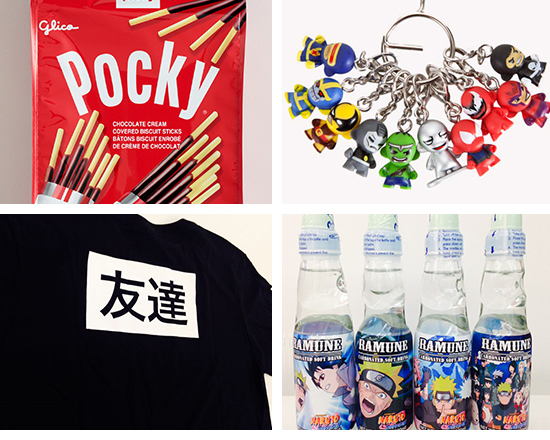 Customers who spend $50 or more will receive a gift set containing one bag of Pocky and Marvel zipper pull blind box, valued at $10 total, while customers who spend $100 or more will receive a larger gift set, which features a bag of Pocky, Marvel zipper pull blind box, limited edition Naruto Ramune drink, and a 10th Anniversary TOMODACHI t-shirt, valued at $35 total. This special offer will be available at both of our stores throughout Black Friday while supplies last, so make sure to stop by and take advantage of this one-day offer! Our Rosedale Shopping Center location will be open on Black Friday from 6am to 9pm, while our Mall of America store will be open from 6am to 10pm. We hope to see you there!